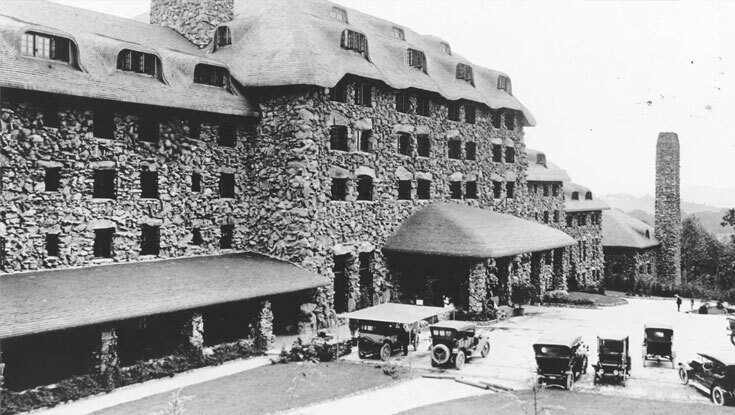 The history of the Grove Park Inn is a remarkable story. Stop by the hotel concierge desk to pick up a guide for a self-tour. Or you can sign up for a complimentary guided tour which covers the history of E.W. Grove, the construction and early years of the resort, the Arts & Crafts style furniture, and some of their most notable guests. The tour lasts for approximately 45 minutes and is offered Wednesday through Saturday at 10:00 a.m. each day. Please see a representative at the Concierge Desk to sign up.